Gaps caused by irregular tooth growth or missing teeth can cause a great deal of embarrassment for people. Some people cover the mouth area in shame when laughing to avoid anyone noticing the empty spot. Sound familiar? One remedy for this is a dental bridge. 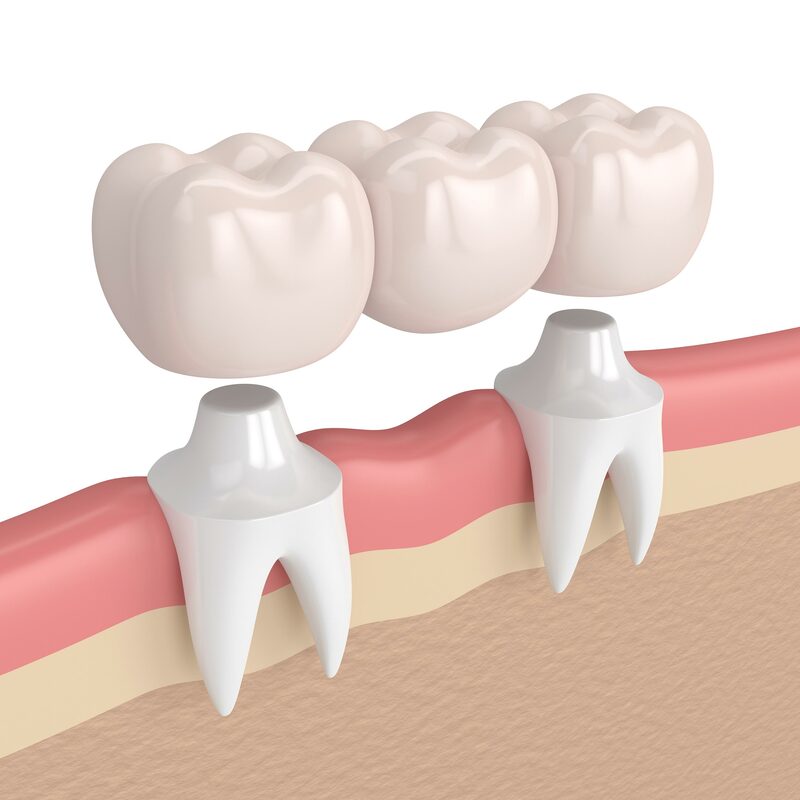 Bridges have a very natural appearance and offer superior functioning when compared with partial dentures. The teeth next to the gap are used to provide a support for the replacement tooth. The dentist takes moulds of the prepared teeth and sends them to the New Zealand-based dental technician. A bridge framework is produced from either zirconia or metal, and then the frame is layered with porcelain to produce a natural functional replacement for the missing tooth. Once completed the bridge is cemented in place using a strong resin adhesive. You may be considering bridge work because you don’t want to wear a partial denture or because implants are not an option. In either case, talk to CMDental about your requirements before, during and after the procedure. Please note: bridge work requires two separate appointments.